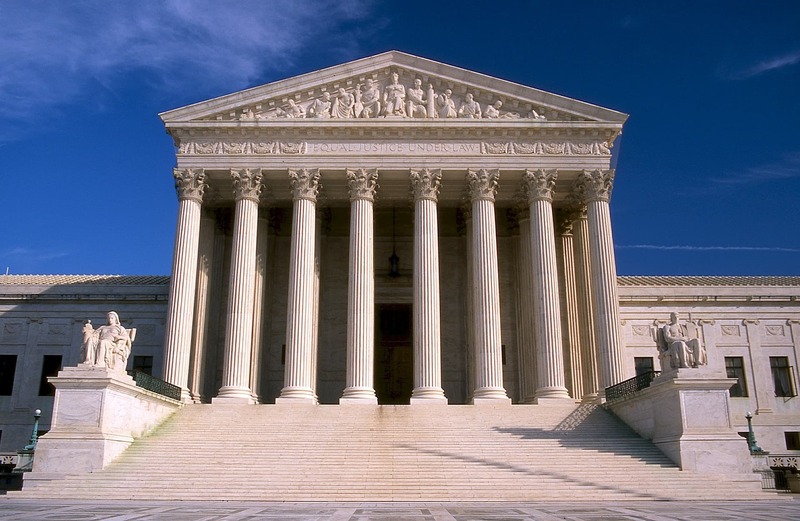 On January 11th the United States Supreme Court indicated that they would hear a case arising out of the state of Wisconsin involving the constitutionality of a warrantless blood draw from an unconscious person. The name of the case is Mitchell v. Wisconsin and the State Court’s opinion is found at State v. Mitchell, 383 Wis.2d 192, 914 N.W.2d 151, 2018 WI 84 (Sup. Ct. Wisc., 2018). This state court opinion contains the following facts and analysis; first, the defendant drank to the point of passing out, meaning he was voluntarily rendered unconscious. A roadside breath test suggested that the defendant had a breath alcohol concentration of 0.24. The blood test came back slightly lower at 0.222. After the Wisconsin Supreme Court upheld the warrantless blood test, the defendant asked the United States Supreme Court (USSC) to hear the case. In analyzing if the warrantless blood draw from the unconscious person was constitutionally permissible, the Wisconsin Supreme Court reviewed both prior USSC cases of McNeely and Birchfield and focused on the provisions of the state’s implied consent law. The state court found that the search was permissible because the defendant’s self-induced physical condition did not render Wisconsin’s Implied Consent presumption unreasonable under the totality of circumstances. This was based on four factors: (1) by exercising the privilege of driving on Wisconsin highways, the defendant’s conduct demonstrated consent to provide breath, blood or urine samples if law enforcement had probable cause to believe that he had operated his vehicle while intoxicated, (2) the arresting officer had probable cause to arrest the defendant for driving while intoxicated, (3) the defendant chose to drink sufficient alcohol to produce unconsciousness, and; (4) by his conduct, the defendant forfeited the statutory opportunity to assert that he had “withdrawn consent” he previously gave. This opinion suggests that had the driver, prior to becoming unconscious, manifested any intent to withdraw his consent, then the outcome would have been different. By deciding to hear the case, the USSC has signaled their intention to rule on the constitutionality of the Wisconsin decision/law. This is interesting because there is a split of authority on this issue at the State Court level. In fact, Wisconsin is among 29 states that allow warrantless blood draws from persons who are unconscious. The remaining states have either not ruled on the issue, or do not allow them. For example, in the similar though contra case of State v. Ruiz, 545 S.W.3d 687, 700 (Tex. App. 2018), petition for discretionary review granted (Apr. 25, 2018), the defendant was involved in a collision, and later became unresponsive. His blood was subsequently drawn without a warrant. The court acknowledged that in Texas if a drunk-driving suspect refuses to submit to the taking of a specimen, the police are prohibited from doing so without a warrant. However, if a drunk-driving suspect is “dead, unconscious, or otherwise incapable of refusal,” implied consent is considered “not to have been withdrawn.” Accordingly, the officer directed a nurse to draw a sample of blood from an unconscious driver who would been in a car accident. The Appeals Court held that the state did not meet its burden to establish the reasonableness of withdrawing the defendant’s blood without a warrant since he lacked the ability to withdraw implied consent which he had the constitutional right to do. Furthermore, that the Fourth Amendment mandates that police in drunk-driving investigations obtain a warrant before a blood sample can be drawn, so long as it does not significantly undermine the efficacy of the search. A decision on this issue from the USSC is expected later this year. It is expected that this decision will resolve the split of authority. Stay tuned.